In Part One, we overviewed Luminar 2018; here in Part Two, we look at some powerful features the software offers that you can use to get the results you want. Some of the concepts and terms may seem a little off-putting, especially if you are new to this level of photo-editing; however, Skylum provides help and resources to assist your progress on the learning curve. BLOG and NEWSLETTER: Our first choice of topic might seem slightly capricious: we recommend you sign up for the Skylum newsletter and visit the Skylum blog. The newsletter will keep you informed about Luminar 2018 developments and special offers. Those offers are sometimes freebies to help you get the most from Luminar 2018, with links to helpful or interesting articles. The blog is much more focused on your needs than the usual corporate marketing hype—you can see from the screenshot and visiting the link that it consists of bite-size tutorials, webinars, update news, and a sufficient minimum of that corporate information. If you want videos, do a search on YouTube and subscribe to the appropriate channel for the content you want. The home website has a video gallery, too. It almost goes without saying that you can stay informed by visiting the Skylum Facebook page. RAW vs. JPEG: At some point we must address the issue of the file format you will use. The RAW label indicates that the file information comes straight from the camera image sensor without modification; JPEG is an acronym for Joint Photographic Experts Group, the body that created the standard for compression of the information from by the camera sensor to make a smaller, more ready-to-use, modified file. Bear with us; it doesn’t have to be as opaque as it is sometimes made to seem. The Skylum blog has a straightforward introduction, RAW versus JPEG, to help you decide whether you want to use the RAW format, or just stick with JPEG. 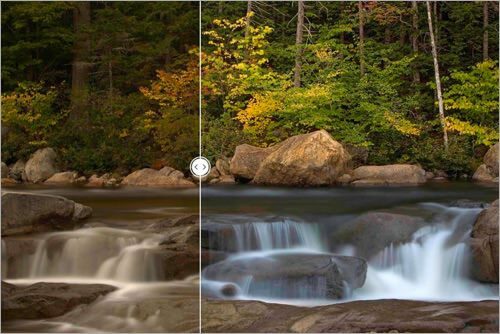 Either way, Luminar 2018 has you covered. Once you have digested that information, you may like to compare different software that performs RAW file development on the macOS platform and see how they stack up with one another; in the case of Luminar 2018 it is all about cooperation. The Skylum blog offers RAW Photo Editing on Mac, How to Develop Raw Photos in Luminar, and a tutorial video RAW and White Balance that might just convince you if you haven’t already taken the plunge. 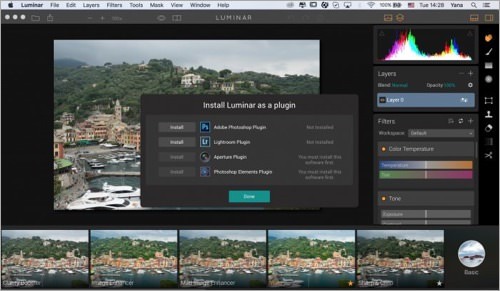 PLUGIN to OTHER PHOTO-EDITING PROGRAMS: The cooperation that Luminar 2018 offers with other photo-editing software is that it acts as a plugin. It does this so well that it won an award from the Lucies Technical Awards judges for Best Software Plugin for 2017. Details about using Luminar 2018 as a plugin with Adobe Photoshop / Photoshop Elements, Adobe Photoshop Lightroom, and Apple Aperture are available on the Skylum website in a page entitled Use Luminar as the plug-in. 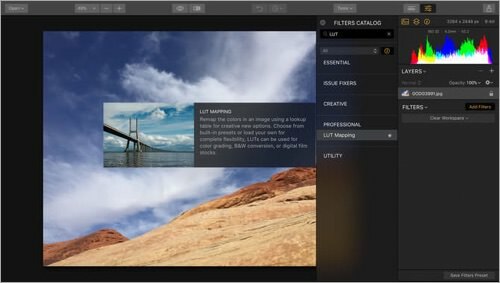 Luminar 2018 will also operate as an editing extension in Photos for Mac. Check the Luminar 2018 User Guide for details. LUTs the EASY WAY: To get all the pseudo-acronyms (RAW) and genuine acronyms (JPEG) out of the way, we decided to tackle LUTs as the next topic. Stay fearless, my friend, because with that lower case pluralizing S it stands for something no more worrisome than ‘look up tables’. Just think of them as preference lists or presets. Once again, a Skylum blog entry, What is a Lookup Table (LUT)? is there to help you. Performing a Google search for LUTs to be found the Skylum website produces a plethora of links. The latest Skylum newsletter was big on LUTs, featuring links for: a blog entry, Creative Image Makeover Using LUTs #2; a video tutorial from Robert Vanelli, How I Use LUT Mapping; another video tutorial from Richard Harrington (who wrote the User Guide), entitled How to convert Lightroom Presets to LUT; and the Luminar 2018 webinar, Mastering LUTs, again with Richard Harrington. 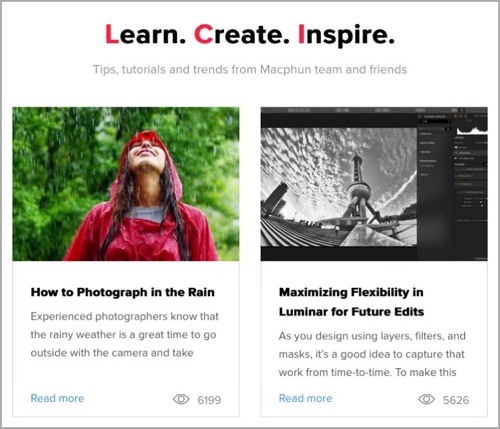 The newsletter even includes a download link to eight free LUTs to get you started. Go to the Skylum website and sign up to receive newsletter links to all these resources. 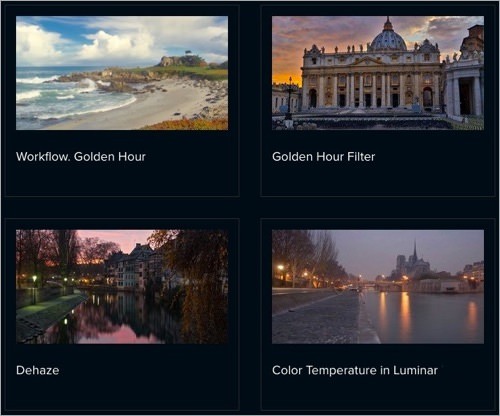 Skylum has a guide to forty-one filters that are clickable to give an explanation of what they do. The use of sliders to allow you to gauge if that is the effect you are after is a nice touch. The filter illustrated above is the Color Temperature filter. REAL WORLD EXEMPLAR: The foregoing topics cover the power of Luminar 2018. To see how this might all come together in an image makeover, visit Laurie Rubin—another Luminar 2018 maven—as she performs a step-by-step Image Makeover Using LUTs on an image created by David Garbut for a challenge on the Skylum Photography Facebook group page. The second part of that makeover series, Creative Image Makeover Using LUTs #2, was presented by Robert Vanelli for Jenny Schumacher. Visit the Facebook page for lots of examples of work by Luminar 2018 users. CONCLUSION: At such a low entry fee, we are amazed by the features Luminar 2018 offers. We recommend that everyone contemplating buying photo-editing software, or existing users of competing photo-editing software, considers Luminar 2018 as a front-runner..